If there was ever a year when Gospel music in Nigeria went mainstream, that year is 2017. From the birth of many worship events to the growth of others into full blown international events. We have also seen the rise of several kingdom based initiatives and the progress many others have made. Nothing gives us more joy than seeing the work of The Master find expression through the creative minds of men. For anyone who is familiar with “church music”, you have definitely encountered the problem of feeling your way through a song in church. It’s even worse when the media team decides to use your rather confused face as their focus during that period. That was a problem Gospel Lyrics NG came on board to solve. Gospel Lyrics Ng kicked off in 2014 with a simple idea – to advance Kingdom Culture via music. 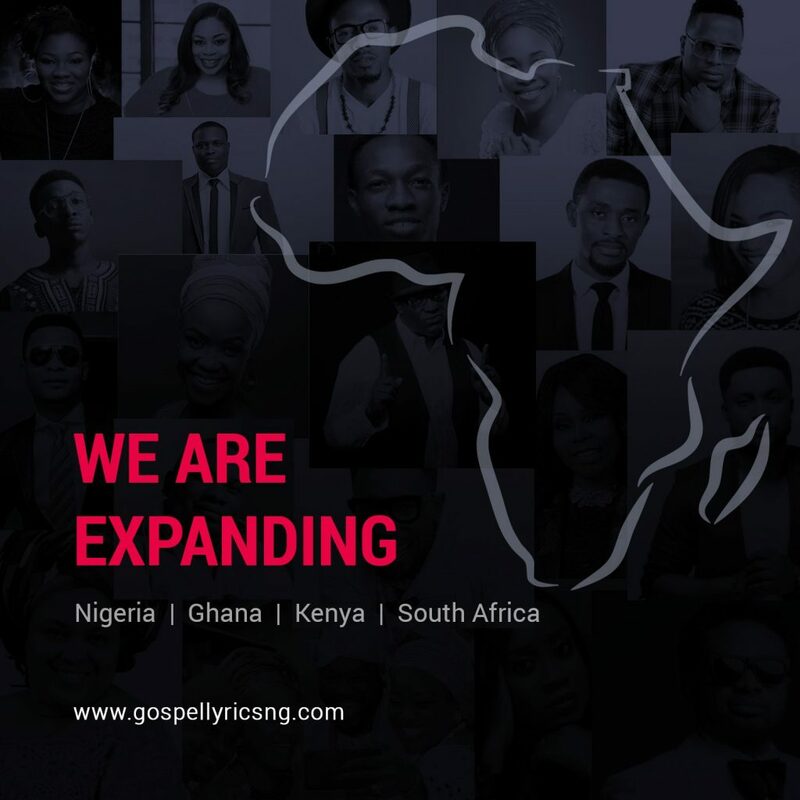 Gospellyricsng.com, therefore, started as a repository of Nigerian Gospel Lyrics – From the popular to the not too popular songs. As at the time of inception, the team was faced with the struggle of having to listen to songs over and over again to get the lyrics of the songs. That was definitely not an easy and productive way of getting things done but at the time, there was hardly an alternative. 3 years later, gospellyricsng.com had grown to accommodate 1000 gospel lyrics, 200 thousand monthly visits, 83k fans/followers and a whopping 2.4 million total visits as at the 3rd year anniversary in June. If records serve us right, that is probably the largest repository for all things Gospel Music at the moment. The site now provides a platform for artistes to submit their lyrics as soon as it is released and it has recorded tremendous ease. After 3 years of being a Nigerian only platform, Gospel Lyrics NG has finally concluded plans to expand to other nations of Africa. So, in the next few weeks, the platform will no longer host Nigerian-only Gospel lyrics but generally African Gospel Lyrics. The announcement read; Our website and social media channels will now feature lyrics and content from Kenya, Ghana, South Africa and Uganda. We don’t know what the name will be after this change takes effect but African Gospel Lyrics or Gospel Lyrics Africa won’t be a bad idea, right? We have a thousand and one lessons to learn from the growth of Gospel Lyrics NG over the past few years but more noteworthy is the story of consistency, of grit, of reckless faith and of growth. For Gospel Lyrics, it’s from a room in Nigeria to the rest of the world. Isn’t that what The Great Commission is anyways?